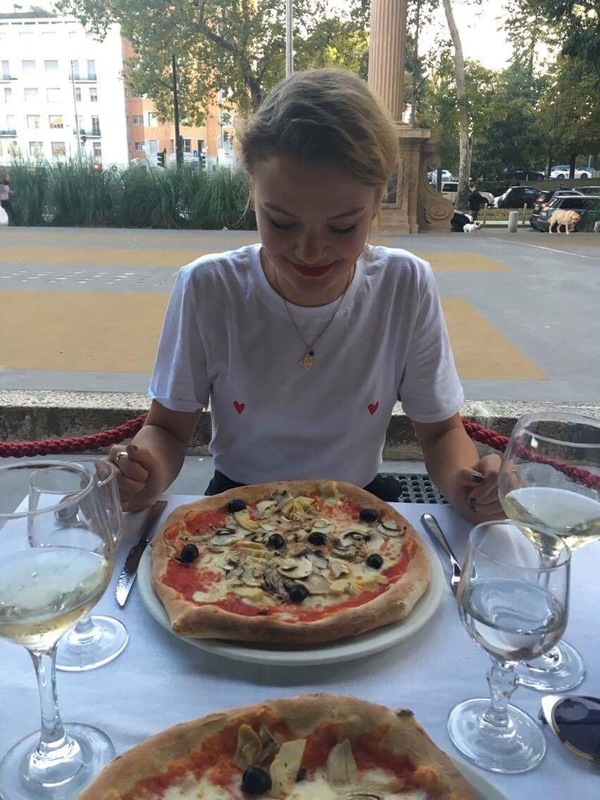 Just before my 21st birthday, myself and my best friend decided to travel to Milan, before I travelled up to Edinburgh for University. 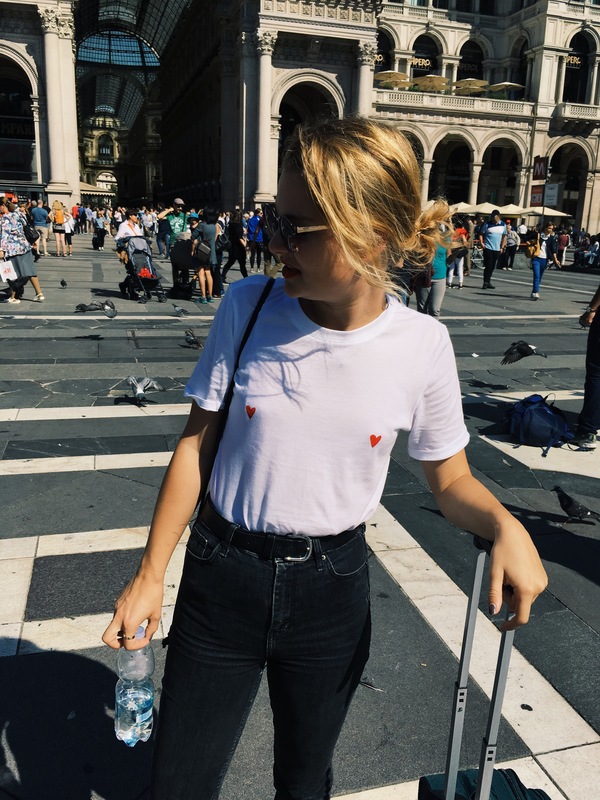 Read below what we did – our amazing 33 hours in Milan. At 10am, we arrived at Milan Malpensa airport, a 50-minute bus ride outside of the city centre. The shuttle bus runs approximately every ten minutes from the airport to the centre, and is €14 if you buy it on the plane – however, I would wait until you are by the bus stop, and buy it from the bus attendants instead, they will give you a far more agreeable price. 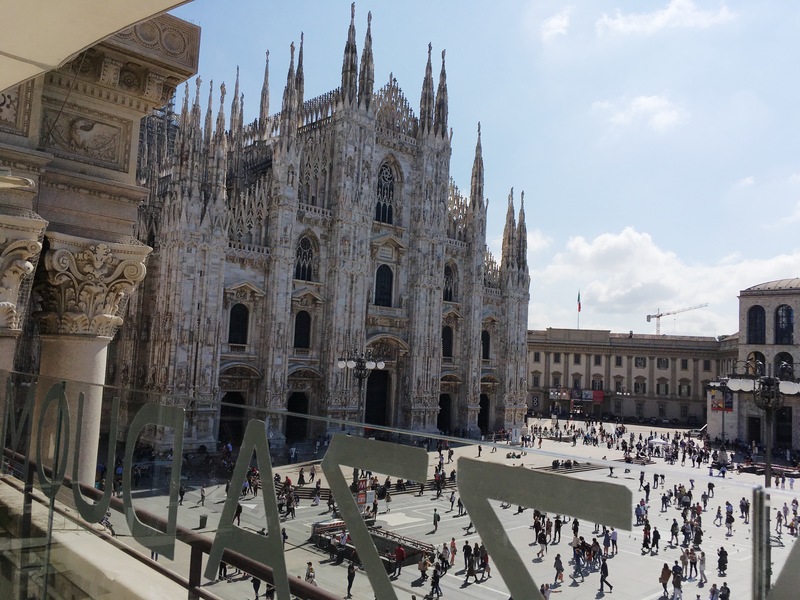 After napping on the bus, we arrived at Milan Central Station, and took the metro (the red line) straight to the Piazza del Duomo, only two stops away from the central station. When we arrived at the Piazza del Duomo, we went straight to the tourist information centre and picked up some maps of the city. The tourist information centre is located in the shopping mall, which in itself is worth a trip. 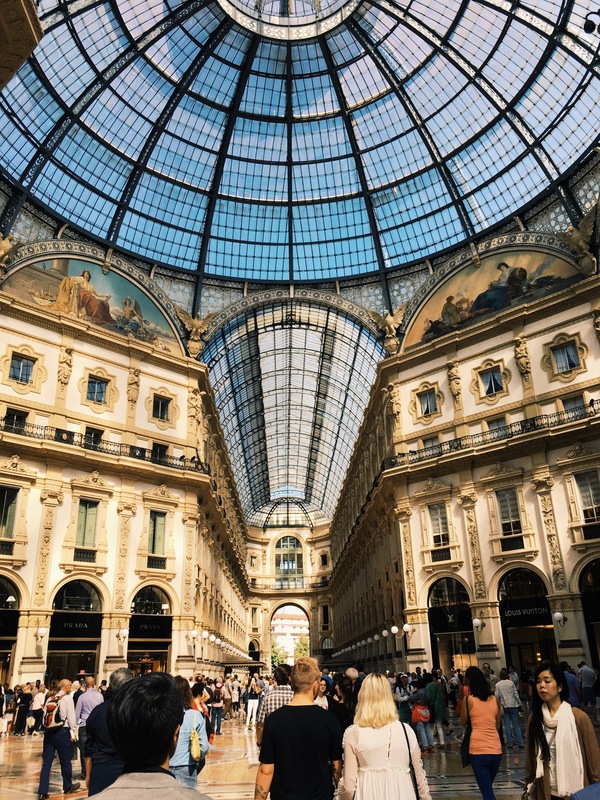 The Galleria Vittorio Emanuele II, is lined by an astounding amount of designer shops – while it’s most definitely a little intimidating, it is still a must see. Intricate mosaics line the floor, and the ceiling of domed glass conveys immediately a sense of Milan’s wealth and importance – both historically and in modern day Italian business. Once we had picked up the tourist maps, we headed to the second floor of the gallery, to a bar. Unfortunately, they don’t serve coffee after 12pm, so we ordered 2 diet cokes each – which came to an astounding €10 each! 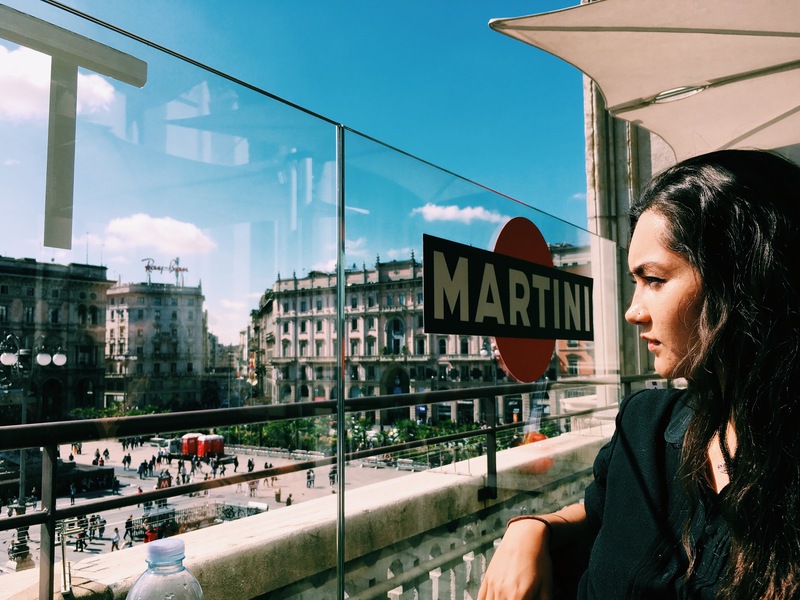 Fortunately, the bar had an absolutely amazing view of the Piazza del Duomo, so it was almost worth the 200% increase in the retail price of a diet coke. Our hostel, The Old Milano Hostel (link to review coming soon) was at 2pm, so at around one thirty we headed back to check in and dump our bags. We left the hostel pretty quickly and headed back to the Piazza del Duomo, where we bought a Museum and Duomo pass for only €3.This pass grants you entry to the Cathedral itself, the Museum, and two small chapels – one attached to the museum, and one under the Duomo itself. The pass lasts for three days once activated so you can take as much time as you wish. The museum, containing hundreds of old gargoyles, stained glass, and figurines – previously on the Duomo itself – is most definitely worth a visit for any art history and architecture lovers. It is rare to see the intricacies of a Cathedral such as the Milan Duomo so close up and is quite awe-inspiring. The queue for the Duomo itself usually gets very large after 11am, so it was really quite long once we had bought our tickets – due to this, and my miniskirt (you’re only allowed entrance into the Duomo with legs and shoulders covered) we decided to do the Museum first. I would really recommend doing this, as it really give me an appreciation for the amount of craftsmanship that had gone into building the Duomo when we returned the next day to visit the cathedral itself. After the Duomo Museum, we went for a walk near the square and got Gelato – at a very agreeable price of €2 for quite a large cone. We then went to the Porta Venezia district in Milan to get dinner. After wandering around for about half an hour, we settled on Maruzzella Ristorante (review linked soon). We did head back to the hostel with the intention of going out, but unfortunately due to a little too much wine at dinner (!) we ended up just buying drinks at the supermarket near the hostel, and having a quiet night in.